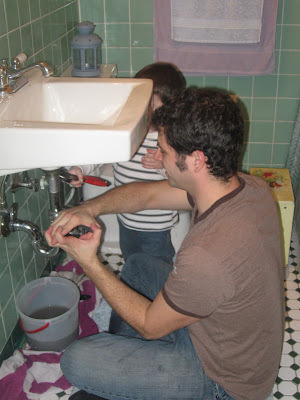 Crazy May Days: Need a plumber? Last week our sink officially broke. Well, that is the story that I am going to stick with. It was clogged---one certain person of the family went to go clean it out and then noticed it was broken. Not going to lie--- a little hard to handle daily hygiene without a functional sink in our ONLY bathroom. 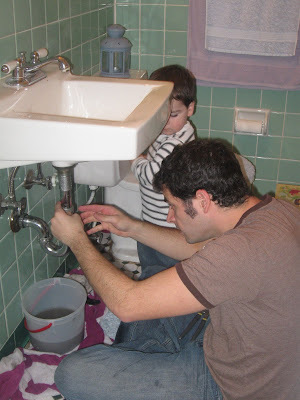 So I whipped out the phonebook and called the closest father/son plumbing business around. They sure were mighty cute and I sort of have a crunch of the taller one... which is funny because the younger one kept trying to kiss me. Now, I could kiss them because my sink is back! Whoo hoo. 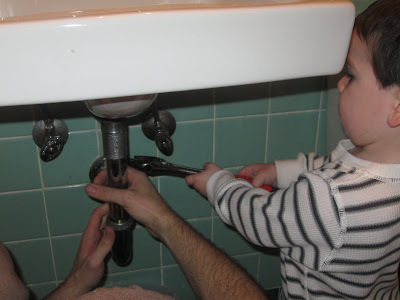 Hooray handwashing! 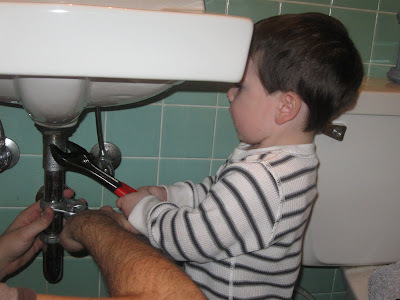 Need a plumber?